If you want the custom characters, you’re still going to have to get the full game. If you just want to control the Wii U version with your 3DS, Nintendo has you covered now! Super Smash Bros. for Wii U is fun with friends, especially in the chaotic 8-Player Smash mode. 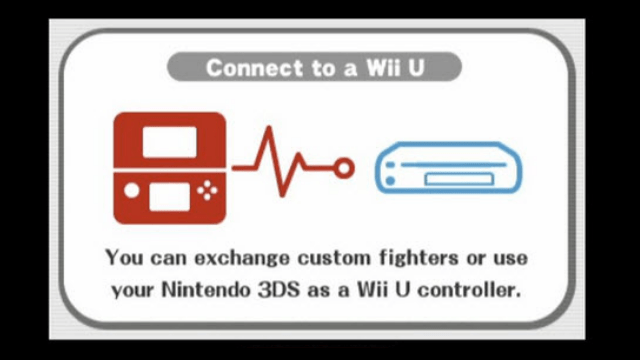 A helpful little feature in this version is the ability to use a system in the Nintendo 3DS family as a controller, which works in a pinch if one does not have enough controllers to go around. Until today, this use was limited to owners of Super Smash Bros. for 3DS, meaning owners of the 3DS, 3DS XL, 2DS, or New 3DS XL who do not have a copy of that game were left in the cold. Now, in addition to the numerous amounts of Super Smash Bros. DLC and features announced in today’s Smash-focused Nintendo Direct, Nintendo has quietly placed a 3DS app called Smash Controller on the Nintendo eShop, which lets people without Smash for 3DS use their system as a controller in Smash for Wii U. It can be had for $0.99. Not bad, considering the alternative of a full-priced game—after all, it’s always nice to have another option. Will you be using Smash Controller? Let us know in the comments!